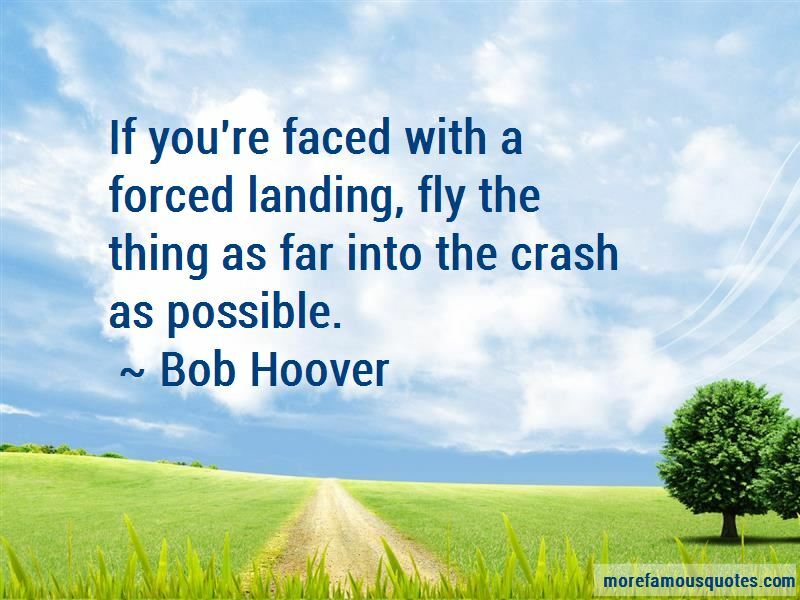 Enjoy the top 4 famous quotes, sayings and quotations by Bob Hoover. I don't think I possess any skill that anyone else doesn't have. I've just had perhaps more of an opportunity, more of an exposure, and been fortunate to survive a lot of situations that many other weren't so lucky to make it. It's not how close can you get to the ground, but how precise can you fly the airplane. If you feel so careless with you life that you want to be the world's lowest flying aviator you might do it for a while. But there are a great many former friends of mine who are no longer with us simply because they cut their margins to close. 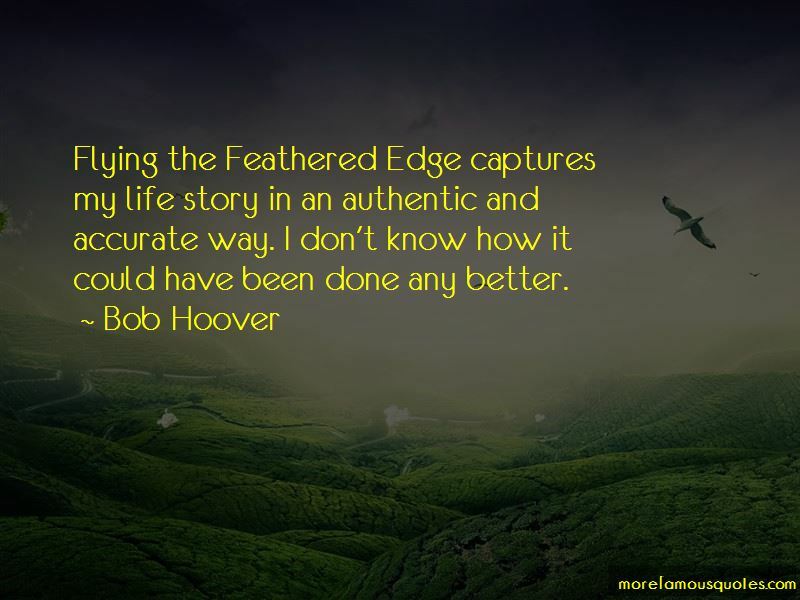 Flying the Feathered Edge captures my life story in an authentic and accurate way. I don't know how it could have been done any better. Nothing said I had to crash. 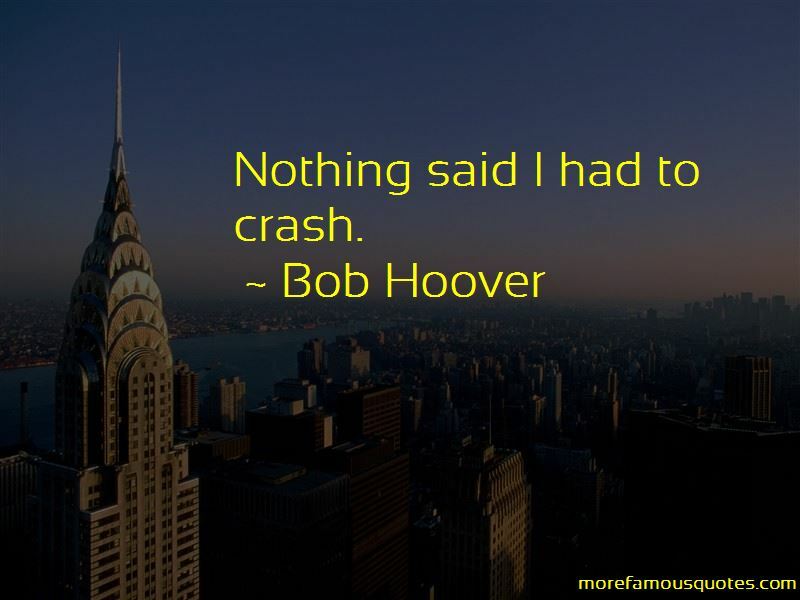 Want to see more pictures of Bob Hoover quotes? 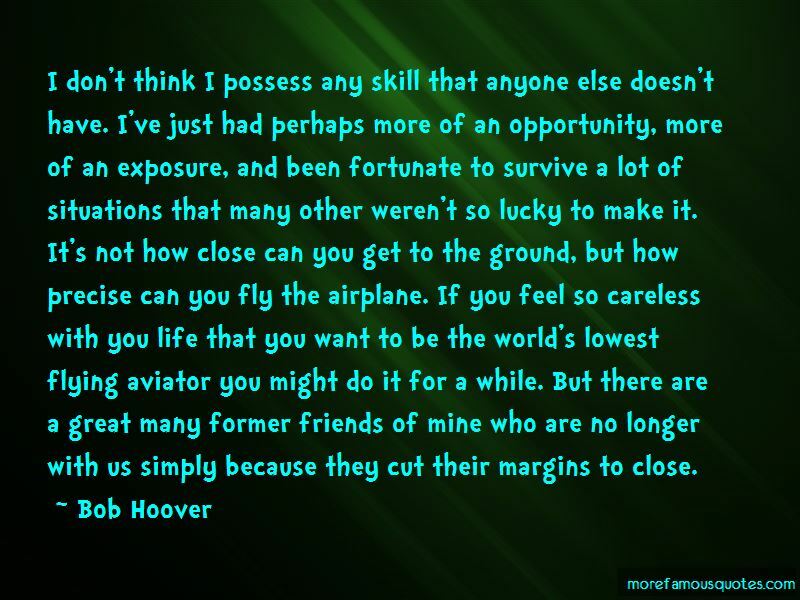 Click on image of Bob Hoover quotes to view full size.